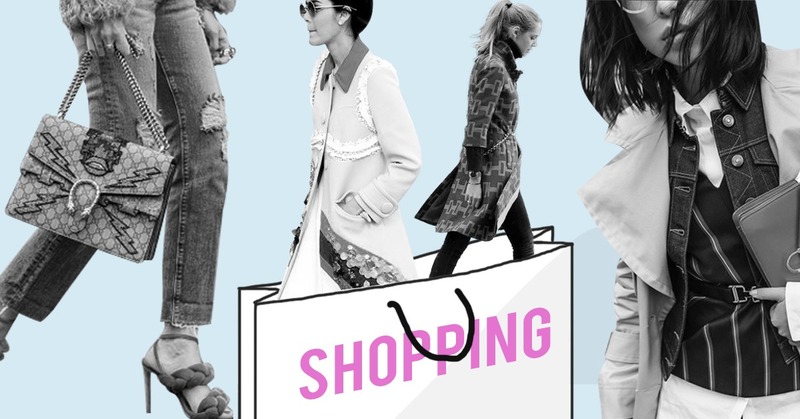 Do You Have A Serious Shopping Addiction? Shopping addiction is a term used loosely by many, and understandably so because many don’t see shopaholism as a serious addiction. And while movies like Confessions of A Shopaholic struck a major chord among shopaholics everywhere, for many it was no more than a chick flick whose main character shopped a lot, went broke and married a rich guy. But if you speak Zara or Zalora, or sometimes Prada, you know that no truer words have been spoken than, “A man will never love you or treat you as well as a store. If a man doesn’t fit, you can’t exchange him seven days later…A store can awaken a lust for things you never even knew you needed. And when your fingers first grasp those shiny, new bags…” Boom. You’re hooked. Before you know it, you have one too many bags, panic bought sale items and realize that 12 months 0% interest actually means the whole amount is deducted from your credit. Often times, people shop for basic necessities. Sometimes, they do it to make themselves or people they love happy. So retail therapy is not bad—not when you do it occasionally and there’s moderate purchasing involved. & Because come on,shopping for the lewk for that all-important job interview or celebration, giving yourself a mini mental vacation by way of retail distraction, gifting oneself for all that hard work has its benefits and is in fact therapeutic. Jackie* has an eye for luxury goods. She would gush over the impeccable craftsmanship of a particular bag and rationalize with her workmates why it’s worth the investment. Jane would eventually buy the item but won’t use it until the hype around it has died down. Turns out the item often sat at the back of her closet because she didn’t want her husband to know she had splurged on the season’s it bag. Not when they just had a baby. Angela*, on the other hand, traveled a lot for work and had just been acquainted with the world’s then-rising fast fashion giants. She shopped a lot, too, during those trips and unwittingly wiped out all her savings, not to mention maxed out her credit card. So, Ana spent a month scavenging her colleagues’ leftover baon. stores and online. Pauline has become like a poster girl for her favorite stores’ latest collections but feels bad every time her billing statement arrives. When you lie about or hide purchases, feel ashamed or guilty after seeing the financial damage of your purchases, or worse, avoid calls from the bank, then shopping becomes a very dangerous addiction. It all starts with window-shopping or “I’ll just browse, see what’s new.” And it’s all-good fun until it’s not and your closet is full of impulse buys a.k.a things you don’t really want (yes, because flash sale!!!) and has become a timeline of your unfashionable regrets. We love sales, too, but that doesn’t mean you buy every need-this- in-my life item you see. Besides, that’s what shopping baskets, the literal and online version, are for. Drop it in, curate and let the rest of the world get into a frenzy. Sure plaid is back, but will it suit you? If you’re at the store, try it on. But if you’re doing some online shopping, find some time to put a picture of your head on one of the product photos to get a feel of how it’ll look on you. Oh and always check the size chart, especially if it’s your first time buying from a particular brand. Many, if not all, physical and online stores have return policies. This is especially helpful if you’re shopping online and can’t get your size quite right. But it’ll require an above average level of patience on your part. If you’re not sure or the item comes with a heavy price tag, sleep on it. Trust us, you won’t regret waiting it out until your absolutely sure about your purchase. Other than that, happy shopping and bring/do it with a friend who can help keep you and your spending in check!